Matteo Renzi’s political career hangs in the balance, as a consequence of his choice to connect his government with the result of the Referendum on the Constitutional Reform, planned to be held on December 4th. If I were an Italian citizen living abroad… I’d not underestimate the fact that nothing is what it seems. Once upon a time there was a politician among a thousand others, elected for the first time in 1953. He is also known as the one who endorsed the Soviet Authorities during the 1956 Hungarian Revolution and he became President of the Italian Republic in 2006, accepting – for the first time in history – to be re-elected in 2013 for less than two years, in order to supervise a Constitutional Reform. He broke the unwritten law which imposed the President to not accept a second term, but, above all, he infringed the same Constitution on he previously sworn, by his unusual political action (in Italy the President cannot directly interfere in government policies, nor in Parliament’s activities regarding the Constitution). That man was Giorgio Napolitano. Dear Folks, a letter from your homeland… Probably the world is informed that Italy is going to vote for a Referendum, on December 4th. Probably the world doesn’t know that it represents what Brexit meant for the U.K. or what the election of an outsider like Donald Trump means for the US. In any case, “we, the people” are called to decide against what the Power has already decided for us, after having set aside Democracy and its principles. 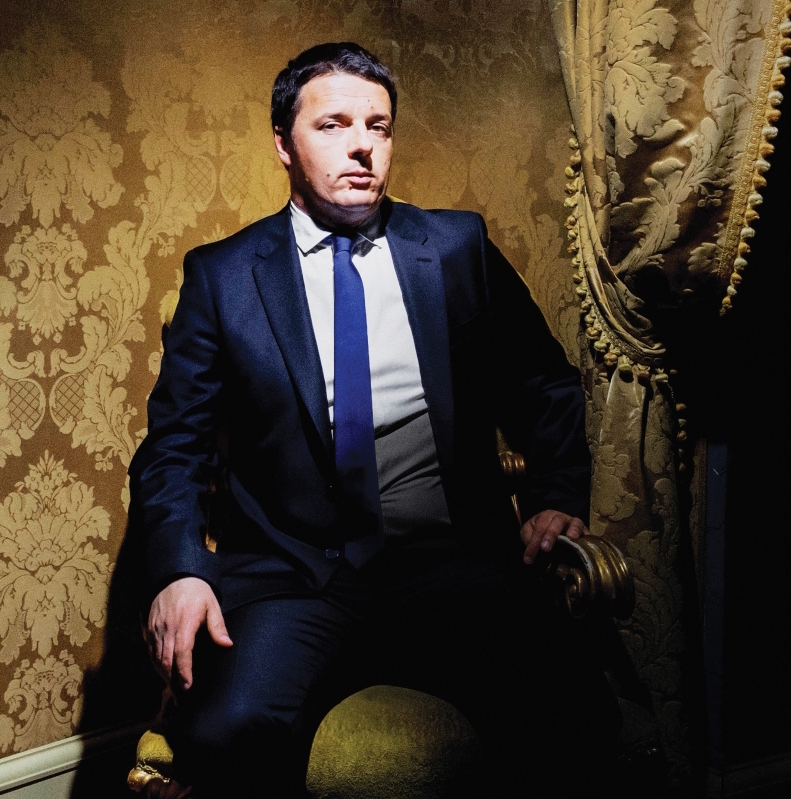 Recently I tried to get the state of mind of my compatriots, in regard to the Constitutional Reform by Matteo Renzi. I’ve participated in several online forums and after I read an interesting article published on “The Wall Street Journal”, I had a discussion with some readers, on its Official Facebook page. That discussion was an inspiration, but honestly, in the end, my idea that lots of them did not understand anything about it, was confirmed. Even if there are lots of articles on this topic, in English, the problem is that too many newspapers endorsed Mr. Renzi, as they are a part of the same “system”. Nevertheless, in my opinion, after Brexit and Donald Trump, they will get a wrong result again. Moreover, Social Media, entrepreneurs, rating agencies and banks declared their favor for Renzi’s reforms… In Italy, a scandal erupted some months ago, due to a report by J.P. Morgan, where it was clear that the Investment bank was pushing on the European Governments to change their Constitutions, because they offer too many rights to the people and they are an obstacle to the decision makers. Looking deep into such a “grey area of Power”, the smart elector can easily understand that something doesn’t work properly for the common good. The root of the mess. I have to admit that I don’t like the Italian Prime Minister because he got the Power without being elected. He became Prime Minister due to a “Political false flag operation”, by which he betrayed the former Prime Minister, Enrico Letta. As a modern Brutus he stabbed Caesar. Now, he wanna dominate everything. The first problem is the election act by which the current Parliament was elected. Due to an absurd majority bonus system declared illegal by the Supreme Court. In its sentence the Court did not declare the end of the current legislature basing its decision on the principle of State Continuity. This means, as a consequence, that the Parliament was able to organize new general elections and to approve urgent laws decided by the Government. Obviously, no Constitutional Reform was allowed. Light VS Darkness. Regarding the reform itself, first of all, it’s important to remind that the Italian Constitution is a rigid one. This means that it stands above the other laws of the country, while flexible constitutions do not. It is not easy to amend, because any amendment needs large majorities within the Parliament which ensure the respect of common values and rules. This doesn’t mean that rigid constitutions are better than flexible ones, at all. This means just that while anglo-saxons countries have been built on their traditional flexible constitutions, Italy has been built on its own: it was written by all Parties, after Fascism. Its clarity represents its own power. It’s easy to read and it’s easy to understand. The current project by Matteo Renzi, has been issued as a wide and confusing amendment of 47 articles on 139. A smart reader could check the difference between the current Constitution and the revised one: a few simple words for encyclopedic nonsense words. It’s a real foolishness! Participation VS Privilege. Based on the current Constitution, the Italian Parliament is a bicameral Parliament. It is made up of the Chamber of Deputies, with 630 members (deputati), and the Senate of the Republic, with 315 members (senatori). It is responsible for making laws (legislative power). Both houses have the same duties and powers and there are no differences between them. This means that a new law can be approved only if its legal text has been previously voted by the Chamber of Deputies and by the Senate, with no amendments. Matteo Renzi and his Cabinet believe that the current bicameral system represents a brake to Government policies, so they are used to defending their reform project, which defines different powers, by stating that it’d ensure a better governability of the Nation. It’s too bad that in Renzi’s reform, Senate will no longer be elected by citizens, but they will be appointed by Parties, through the regional parliaments… At the same time, talking of “slowness of the legislative process” is just misinformation. In fact, when the Government majority had to decide the banks bail-in/bail-out, to demolish the workers rights (by a reactionary and repressive law called “Jobs Act”), or to reform the public pension system, “quickness” was the answer… As is the case throughout the world, the real problems are backroom deals outside Parliamentary scrutiny and judicial review and lobbying. Furthermore, the Prime Minister is used to describing the new Senate as the German Bundesrat, but he forgets to tell that while German senators are constrained to vote following their lander’s policy, their Italian colleagues would be free to decide without any risk for their career. A guarantor VS a “Puppet”. The President of the Italian Republic has been thought as guarantor of the Constitution. He is a representative figure even if he can exercise moral suasion both on Government and on Parliament. Due to his role, the current constitution requires special majorities for his election. Majorities that cannot be reached without a deal among the Parties. Mr. Renzi’s reform would reduce the President to a puppet of the government, by reforming the special majorities for his election but also managing the majority required to impeach him. The guardian of the Constitution might loose his independence and he would not assure the impartial implementation of the constitutional rules. Supreme Court VS Kangaroo Court. Every democracy is based on a “checks and balances system”. The Supreme Court is usually the most important institution, as it is called to clarify political issues, to solve potential conflicts and obviously to define the right interpretation of the law. Based on the current Constitution, the 15 judges are appointed as follows: 1/3 by the Parliament; 1/3 by the Judiciary; 1/3 by the President of the Republic. Mr. Renzi’s reform could allow the Government, by its Parliamentary Majority and by the “puppet-President” of the Republic, to appoint 2/3 of the judges and then to manage the decisions of the Court! Shared sovereignty VS Decisiveness. It’s important to consider that the current Constitution allows a shared sovereignty between the Government and local authorities (Regions and municipalities) on lots of matters (environment, energy, infrastructures, etc. etc.). This allows to avoid contrasts between general and local interests. Mr. Renzi’s reform would re-introduce an ancient clause called “Supremacy Clause” which allows the Government to go ahead with its policy, that may impact territories, without asking the local communities before. Power plants; landfills; incinerators; drillings and so on. Everything might be possible, even by sacrificing the public health. Cost-effectiveness VS (ridiculous) Cost-savings. Last but not least, it must be clear that based on the General Accounting Office, the estimated cost saving does not reach 50 million Euros a year. Mr. Renzi’s is used to talking about 500 million Euros… But he never explains the reason why of such a big and incredible difference. Anyway, I’m not willing to accept an attack to Democracy for a small fortune. I say “NO” to Matteo Renzi and to his fake Constitutional Reform. It’s not a question of who will come after him; I say “NO” to defend the common sense of Democracy and Freedom, in Italy, as defined by our Constitution which is still “crying” the blood of our fathers. I hope that all the Italian citizens living abroad will do the same, by participating in the Referendum scheduled for December 4th. Vote “NO” to avoid Italy falling into a new Tyranny.